Editor’s note: Earlier this month WTS.com reprinted a moving letter from a man named Barry Funfar to the town officers of Falmouth, MA, imploring them to shut down the wind turbine which is afflicting him and his neighbors. We urged readers to email the Falmouth Health Officer, David Carignan, and the Chairman of the Board of Selectmen, Brent Putnam, recounting their own experience with WTS, so to corroborate Mr. Funfar’s horrible experience living next a turbine. Dr. Sarah Laurie, Medical Director of the Waubra Foundation (Australia) did write and we reprint it, here. WTS in a nutshell: Turbine infrasound disturbs inner ear organs, thus dysregulating various parts of the brain. I am writing to you in my capacity as Medical Director of the Waubra Foundation, a national Australian Organisation which has been formed specifically to further independent acoustic, scientific and medical research into the adverse health effects of industrial wind turbines. I am a trained Rural Family Physician (known as General Practiioners in Australia), and became interested in this topic when turbines were proposed for the hills near my home. I am personally concerned about global warming/climate change, and strongly support renewable energy efforts, but not at the expense of one group’s health, wealth and well being (rural residents). As part of my work, I am collecting field observations from affected residents living in Australia. Preliminary data and information I have been collecting suggests that the health problems associated with operation of these turbines are much more widespread and severe than previously thought, both in terms of the numbers of people affected, and the distances over which they are experiencing symptoms (up to 10km in some parts of Australia, especially where the turbines are 80 metres or taller and are placed on ridges). The existence of these health problems has now been well described by clinicians working in the UK (Dr Amanda Harry), the US (Dr Nina Pierpont, Dr Michael Nissenbaum) and Canada (Dr Robert McMurtry). In my experience, the range of problems described by all these clinicians, and the descriptions which affected residents have given to often new symptoms of a new illness particularly as described by Dr Nina Pierpont in her meticulous, methodical landmark peer reviewed study, are exactly the same as those described by affected residents in Australia. Notably, most of these affected residents in my experience were completely unfamiliar with her work when I interviewed them, as recently as two weeks ago. In Australia, as in Dr Pierpont’s study, families lives have been severely affected: some are leaving their family homes because of ill health (if they can afford to) and in Australia the same practice of industry using confidentiality agreements is prevalent, in order to hide the unfolding public health disaster. In addition, I am finding disturbing examples of markedly raised blood pressures in residents living within 5km of turbines, which appear to be directly related to the operation of the turbines. 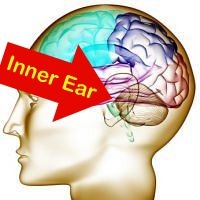 There is experimental peer reviewed published data which clearly shows that infrasound can induce physiological changes, including elevation of blood pressure and heart rate (paper by Qibai & Shi, available on line via the windturbinesyndrome.com website). We now know from work done recently by Mr Rick James in Ontario that modern upwind turbines do emit infrasound, and at much higher sound pressure levels than previously thought (see his presentation from the international symposium posted on windvigilance.com for further particulars, especially the sound spectograms on the second last page). I am very concerned about the long-term, chronic effect of exposure to wind turbines, as some residents with a history of long exposure who move away are not finding that all their symptoms completely resolve. I am particularly concerned about the long-term cumulative damage to children. The Waubra Foundation is currently assisting independent researchers to further investigate and describe these health problems, and measure infrasound, but in the meantime we are strongly advocating taking a precautionary approach to any future development, and not building turbines closer than 10km to any housing, until further information is available which will help determine a safe setback distance of turbines from residences. I would urge you, in your respective positions, to protect your citizens’ health in Falmouth from any further damage. Please do not hesitate to contact me for further information. Thoughtful and convincing letter. Utilities should take heed. Calvin & Nina thank you so much for getting this info out there. I would really like to be able to say more at this time, but I am just too beat up. The typing is difficult. We are waiting for a response, any response, from our town. Right now there are absolutely no safety controls on that thing(Falmouth turbine)-dba levels/measuring are a joke.And flicker? Who cares? God, that thing is so dangerous. I assume a sheet of lead coated copper would shield the infrasound? Also, I am sure that I read something in Nina’s work referencing a pain or stiffness in the back or side of the neck , like a stiff neck that creaks everytime you move your head. Could you direct me to any info on that. Thank you, again. I will write more as soon as there is any good news. Dr.Laurie, thank you so much for your letter to our town.